In accepting a formal invitation, it is important to respond appropriately. An invite to the wedding of your best friend's child, or the graduation ceremony of a family member, for example, requires an acceptance letter that is both formal and succinct. 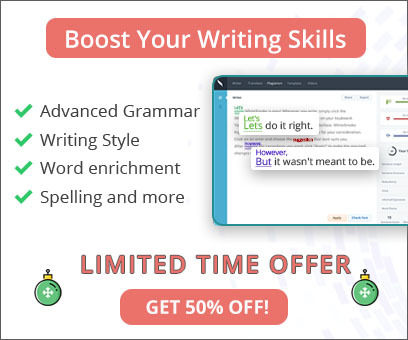 Of course, correct English grammar with perfect punctuation and spelling is essential, and that is where you can rely on WhiteSmoke Writing Software to correct your English writing. 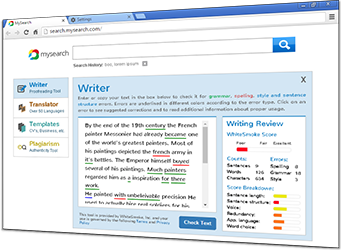 By offering a grammar checker, a spelling checker, a thesaurus and a dictionary in a practical interface that integrates seamlessly with your word processor, WhiteSmoke guarantees that your acceptance letter will mark the occasion with style. Open with a thank you for the invitation, and your confirmation that you will attend. This way, you provide the essential information first. Next, express your expectation that the event will be a successful and joyous one. You may also ask for further clarification on any details, but do so in a separate paragraph to make it absolutely clear you require a response. Sign the letter formally with 'Sincerely' or 'Yours Sincerely', and include your full name, not only your first name. By following these simple tips for your acceptance letter, you are half way there. Now you need to add the finishing touches by checking spelling and grammar, and enriching your language with synonyms, adverbs and adjectives. WhiteSmoke Writing Software is the most complete writing tool for this task. Thanks for the invitaition to the wedding of Janet and Roger, and we are looking forward to a beautiful and pretty celebration for the lovebirds. both myself and Mr. Wainwright will be accepting the invite, but little Katie won't. Is there a present register? Thank you for the invitation to the wedding of Janet and Roger. Mr. Wainwright and I accept the invitation, but unfortunately Kate will not be able to attend. We are looking forward to a beautiful and joyous celebration for the happy couple. Please advise if there is a wedding gift registry. By following some simple rules as outlined above, and using the WhiteSmoke writing tool, we now have a great acceptance letter.